The 135-1OD LUDT's blade has a crowned spine, thumb ramp jimping and a reinforced tip for maximum penetration effectiveness without compromising the tip. 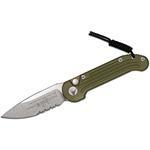 The black finish on the blade and OD green on the handle are extremely durable and makes this an ideal folder for tactical operations. 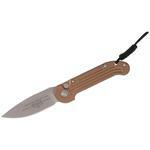 All the hardware of this knife including the actuation button and pocket clip is matte gray to create a nice contrast. The handle is made from milled aircraft grade aluminum for strength and to keep the weight down. 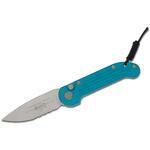 It's ergonomic, lightning fast and just an awesome all around blade. This knife has been proven time and again, and we are very happy to have it back again. It includes a micro cord lanyard and tamper-proof screws. 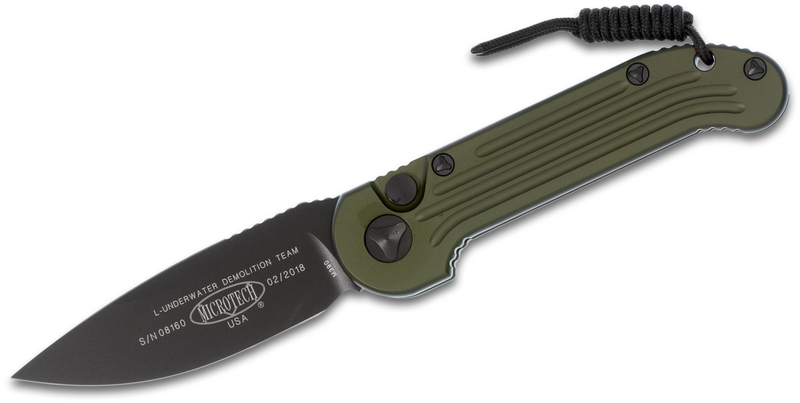 Hey, I wanted to share "Microtech 135-1OD LUDT AUTO 3.375 inch Black Plain Blade, OD Green Aluminum Handles" with you from KnifeCenter.